Facebook and Skype partnered in July that allowed Facebook users to video chat with each other using browser. 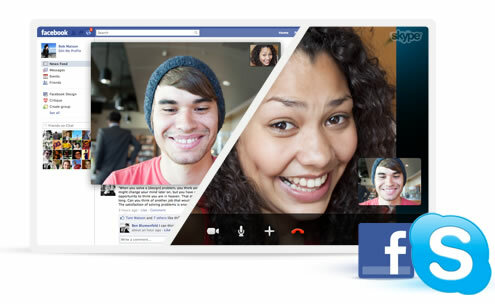 Today Skype announced that users can initiate Facebook to Facebook video chat using the Skype desktop app. To do this users can download the updated versions of the Skype, Skype 5.4 beta for Mac and Skype 5.7 beta for windows. The new update to Skype will allow you to connect your Skype account to your Facebook account, all this happens with in the Skype app, once connected you can select a Facebook friend to initiate a call, your friend can simply pickup the call from Facebook itself.